Join us August 3rd-August 5th in Portland, OR for our annual Summit! Our Summit event is a great place for health professionals to be introduced to Project Helping Hands, and understand the inner workings of our organization and healthcare non-profits in general. Locations will vary among different Portland areas including Portland State University and the McMenemins Kennedy School. Everyone who registers will receive a Columbia Employee Store pass, granting access to exclusive deals in their employee store from the clothing retail giant. Learn more about specific team deployments from our team leaders, reunite with old team members and get updates on where Project Helping Hands is headed from some of our organization's top leadership. 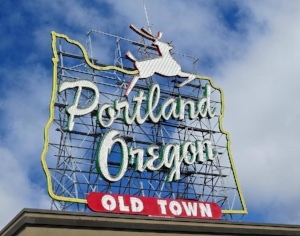 Some of the events you can look forward to are our beer & pizza social, summit meeting and dinner, group extension tours to various Portland areas, and keynote speaker Judith Lasker. We also have affordable housing available for the weekend through PSU ($30-$34/night). The PHH annual Summit is a great experience for anyone, from people wanting to learn more about our organization to our most veteran team members. Be sure to invite a friend and register today!